which use for draw it on the gl . so far I succeed to load and draw objects which has single *.obj and a texture (such *.png , *jpg etc) . But how could I draw an object which has multiple textures ? For example - this object contains multiple texture , I tried to draw it with the suitable *.obj and one of the texture and got the same shape as the above link but its texture not exactly the same . Can you supply me an example how to works it correctly ? I made that model available for download from here with no register . The *.obj I used it is - Zero.obj (after convert it to BufferedReader) , the image I used it is - AssassinBody_Dif.jpg (after convert it to Texture) . What I looking for is - how to get completely drawing of that model using the attached GLModel class ? Wavefront obj files usually are combined with material files (.mat) which define the textures used. The meshes of a model are divided in different material groups. 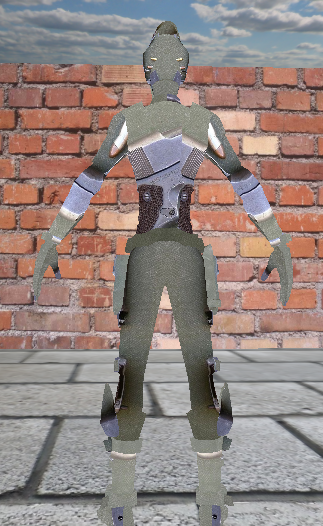 Each material tells you which textures to use and other information of the mesh. In your case, there are separate meshes on the model. These meshes are head, body and hands. They all have their own textures, which you will need to apply to the correct meshes for it to look right. The meshes are most likely separated in the .obj file in mesh groups, material groups or lighting groups. You need to read them in separate mesh instances to be able to render them with different textures. 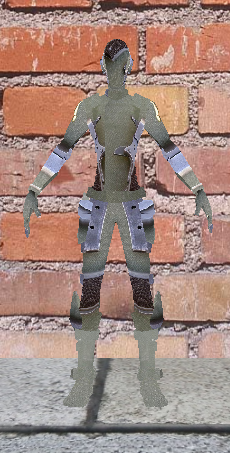 You also have encountered something called normal mapping, which is in essence saving some of the high-poly model's mesh data in textures for use with low-poly model. Not the answer you're looking for? Browse other questions tagged opengl textures objects jogl or ask your own question. Why is this .obj loader not drawing anything but the included .obj? How can I draw textures with JOGL? How can I make this tile map correctly?